The TRS has already announced candidates for 107 constituencies but Huzurnagar is among 12 constituencies the candidates for which have been kept on hold. 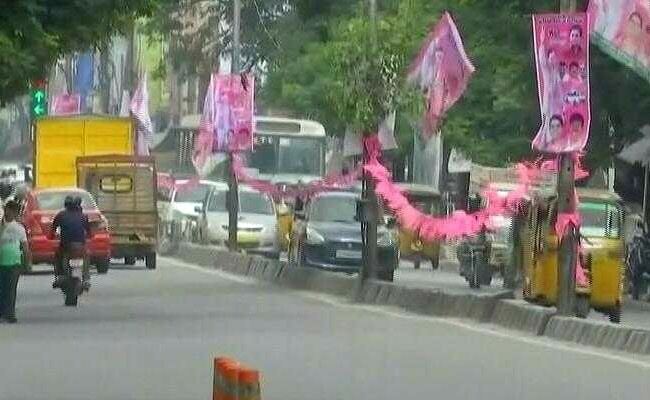 A woman leader of Telangana's ruling party TRS on Tuesday threatened to commit suicide if she was denied party ticket for the next month's assembly elections. K. Shankaramma, mother of Kasoju Srikhantha Chary, said that if the party fields any other candidate from Huzurnagar constituency in Nalgonda district, she would end her life, Chary had immolated himself for the cause of separate Telangana state in 2000. K Shankaramma also alleged that energy minister C. Jagadish Reddy has been harassing her for last four years. She alleged that the Telangana Rashtra Samithi (TRS) leader was trying to deny her the party ticket from Huzurnagar. She told reporters that Jagdish Reddy has entered into a deal with Non-Resident Indian S. Saidi Reddy to get him a TRS ticket. Shankaramma had contested as a TRS candidate from Huzurnagar against Congress party's Telangana unit chief N. Uttam Kumar Reddy in 2014. Uttam Kumar Reddy had defeated her by over 23,000 votes. Uttam Kumar Reddy is set to contest again from the same constituency. Elections to 119-member assembly are scheduled on December 7. The process for filing of nominations began on Tuesday with the Election Commission issuing the poll notification.